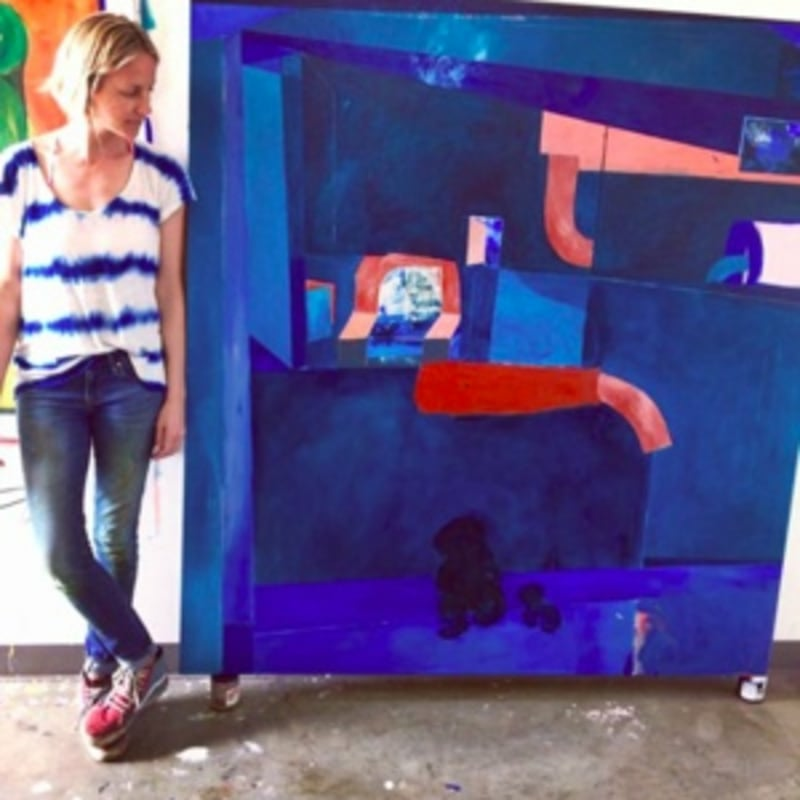 Tahnee Lonsdale’s paintings represent the newest direction in semi-abstract painting. Whimsical figures, architecture, and other objects populate vibrant fields of color that suggest anything from domestic interiors to wild landscapes. At once both detailed and dreamy, Lonsdale’s work leaves just enough to the imagination. A narrative, often involving a journey of sorts, is clearly implied, though it is up to the viewer with the aid of Lonsdale’s colorful titles, to piece together all the elements of the story being told. According to the artist, this body of work embodies an eternal searching, whether that be literally or on a spiritual level. Her work has been exhibited widely in her native Britain, as well as in the United States at venues such as the Orange County Center for Contemporary Art in Santa Ana, CA. Lonsdale currently lives and works in Los Angeles.